Brand new, original, Mercury Capri ignition switch diode / Capri Ignition Switch Diode...ONLY ONE REMAINING..SUPER RARE & OBSOLETE! This small (aqua & blue colored) Mercury Capri ignition switch diode / Capri Ignition Switch Diode is located underneath the dash and interfaces with the other starter switch electrical components. There are several symptoms indicating a bad Mercury Capri ignition switch diode / Capri Ignition Switch Diode. A common symptom is when the engine continues to run even with the ignition switch in the off position. Again this is just one of several symptoms that may indicate that you need to replace your Mercury Capri ignition switch diode / Capri Ignition Switch Diode. Therefore, we recommend that a professional, certified technician diagnosis the problem to make sure that this Mercury Capri ignition switch diode / Capri Ignition Switch Diode is what you require. The "typical" symptom indicating that this Mercury Capri ignition switch diode / Capri Ignition Switch Diode needs to be replaced: The car continues to run for a short period of time after the ignition key / switch is turned to the off position. 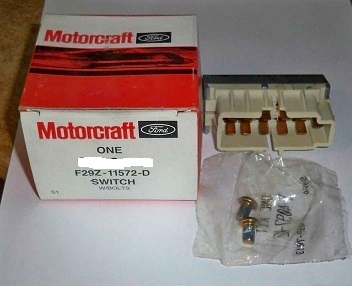 Application - All Mercury Capri models including the XR2 / turbo: 1991, 1992, 1993 & 1994 - Mercury Capri ignition switch diode / Capri Ignition Switch Diode: 1991 /91Mercury Capri ignition switch diode / Capri Ignition Switch Diode, 1992 / 92 Mercury Capri ignition switch diode / Capri Ignition Switch Diode, 1993 / 93 Mercury Capri ignition switch diode / Capri Ignition Switch Diode, 1994 / 94 Mercury Capri ignition switch diode / Capri Ignition Switch Diode.